Heavy Duty Structural Aluminum Ladder 5086 Aluminum with feathering treads. Customized lengths and widths to suit your application. Typical Maximum Inclination of 55°. 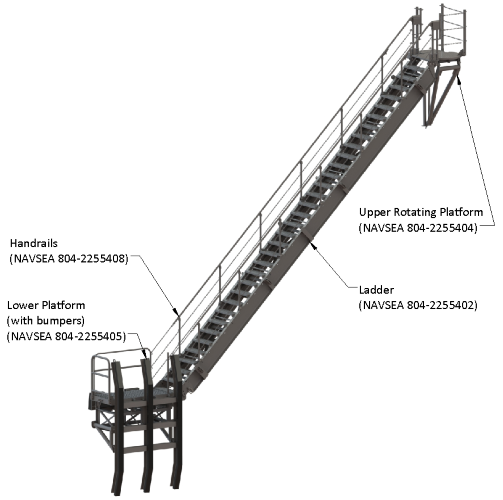 Navsea Style ladder and Platforms.